Grand Opening on April 28, 2019!!! 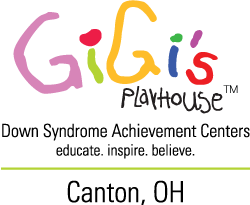 We're opening on Sunday, April 28th at 4061 Bradley Circle NW Canton, Ohio 44718 as the 44th GiGi's Playhouse location in North America! Come join in the fun and festivities from 2-4pm to meet founder Nancy Gianni, her daughter GiGi and participate in the ribbon cutting ceremony. Thank you for an incredible Ladies Night Our 2019! With over 500 attendees, our generous sponsors, delicious dessert donations, basket donations, 30+ volunteers, and the amazing entertainment provided by the Cleveland Keys Dueling Pianos, you all raised $32,000!!! Every dollar from this amount goes right into opening our Playhouse location this Spring and providing FREE therapeutic and purposeful programming for those with Down syndrome in our community!